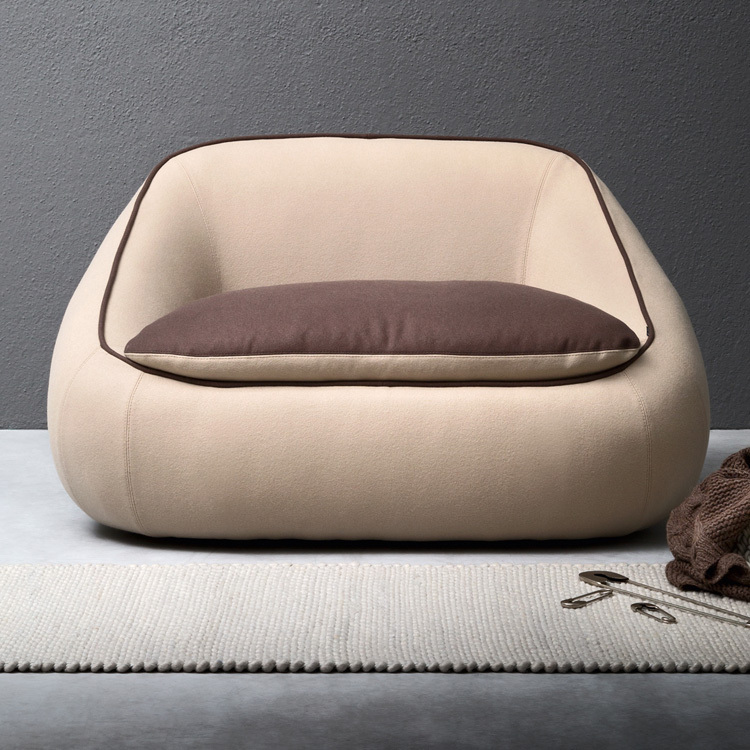 A relaxing lounge chair with a soft enveloping shape. As standard the chair, seat and perimeter are the same color, for two-tone finishes (contrasting perimeter stitching/seat) please contact us for a specific quote. 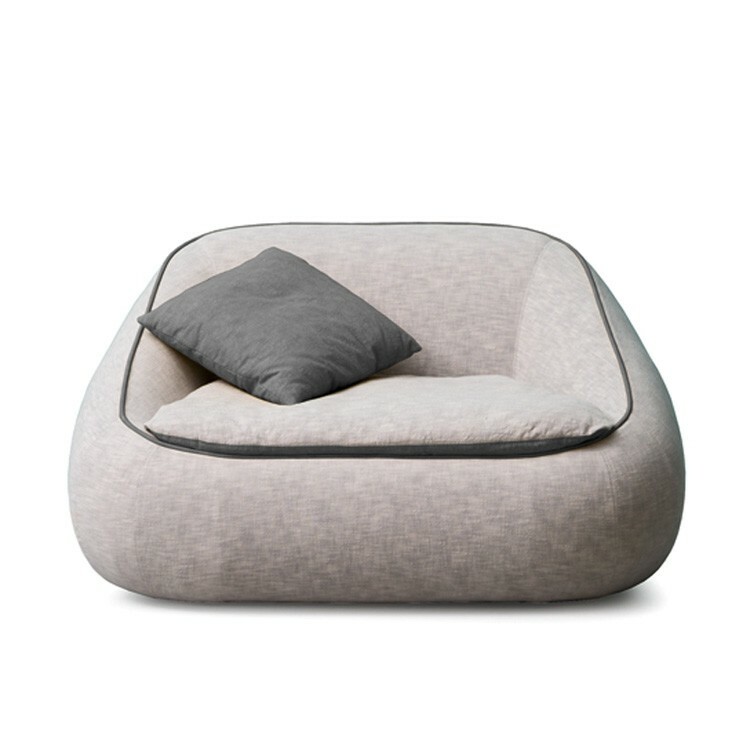 A sofa version is also available, see related products below. Loose cushions not included.